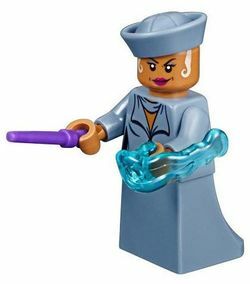 Seraphina Picquery is a Fantastic Beasts minifigure that first appeared in LEGO Dimensions via the Fantastic Beasts and Where To Find Them Story pack in 2016. She will be released physically in 2018. This page was last edited on 14 March 2018, at 00:16.